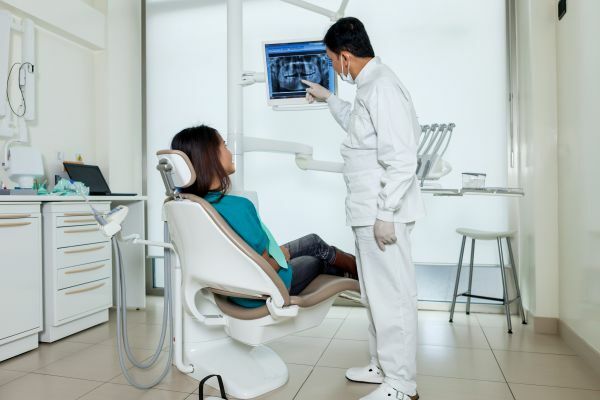 When you get to the dentist's office with an extreme problem that is going to need some serious attention, you may be needing to expect to receive a procedure like getting dental implants, among other procedures, depending on your situation. There are several signs that you can look out for to know more about what your future at the dentist might look like. It is nice to know what to expect at the dentist, especially in a monetary context since insurance will only cover so much. This procedure is necessary when other options are just not available. When a tooth, a group of teeth, or even all your teeth, crack, break or need an extraction due to disease or decay, you may be looking at dental implants as a replacement for those teeth. The process is more invasive than most other dental procedures. A dental implant is an artificial tooth that connects to a mechanical implant device that we insert into your jaw bone. This device secures it in the same way a natural tooth does. Many people who suffer tragic accidents or victims of violence will benefit from dental implants. We can repair the tooth for a natural-looking and fully-functional smile. While there are other options to insert artificial teeth into missing tooth gaps, a dental implant is a more permanent solution that we may recommend. Dentists often use the easiest and most affordable fix on a problem, but sometimes the solution does not work properly. Thus, a more advanced and permanent solution is necessary. Titanium rods, or screws, that imitate the root of a natural tooth go through osseointegration. Osseointegration is the process involves the natural bonding of titanium and bone to help stop jaw bone disintegration. This look is the result of bone loss in the upper and lower jaw in older people. Dental implants stimulate bone growth, unlike dentures, so they fix the sunken face and help it appear more normal. Teeth that are beyond repair are going to require an extraction. There are several options to replace the tooth, but your dentist may increase the chances of replacing the extracted teeth with dental implants. All the signs to see and understand to safely have the expectation of your dentist possibly requiring you to undergo a dental implant procedure has been covered, but it is important to understand that whenever you have a broken, missing, cracked, or decayed tooth, you can talk to your dentist about dental implants. Although, explore other options, and have an in-depth conversation with your dentist to know what options are best for you. You also should know that dental implants are not 100 percent effective since the body sometimes rejects the screws or rods. Dental implant failure is common, so make sure and talk to your dentist about your chances of success after the procedure. Call (201) 620-9998 to schedule a consultation with us in our dental office.